With an aim to build a formidable platform and bring together the Key Stakeholders in the Licensing & Merchandising space, Licensing Corner has been organizing the high-level executive conference and networking event. 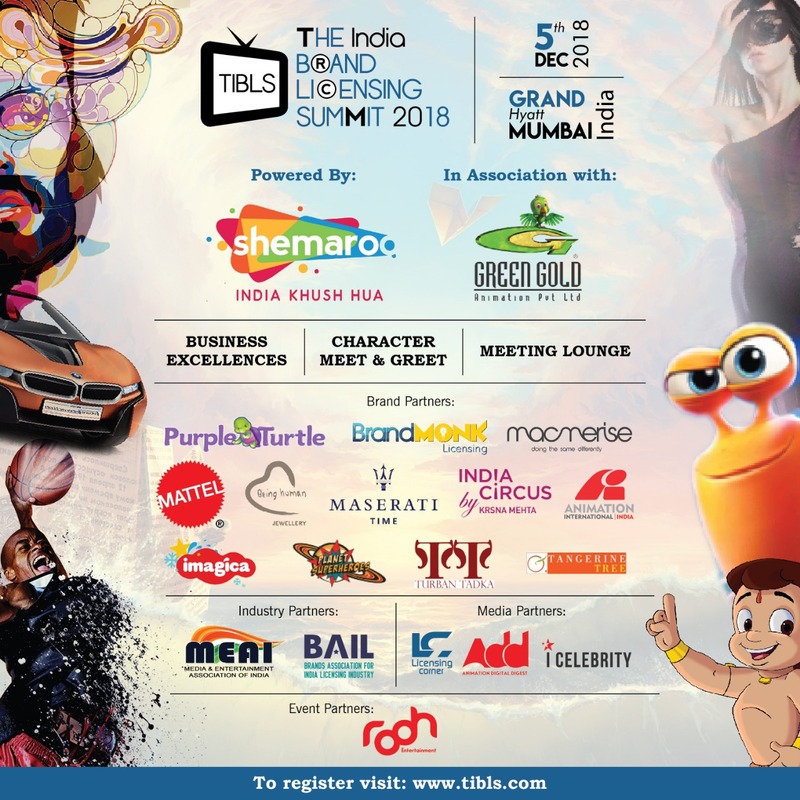 The India Brand Licensing Summit 2018 (#TIBLS2018) is an entire day event that features Panel Discussions amongst who’s who from the brand and retail space thereby offering insights and opportunity, exploring the driving factors and changing dynamics of the Indian Brand Licensing sector. The attendees will be a mix of industry professionals & entrepreneurs who work with diverse stakeholders i.e. Licensors, Licensee's, manufacturers, distributors, retailers, and e-tailers. Considering the buoyancy around the Start-up environment, the Brand Licensing opportunity could be leveraged and presented as a key growth accelerator to budding Entrepreneurs and SME's. Also, Brand Licensing module offers a ready platform for Manufacturers for forwarding integration, thereby offering ready market access and consumer acceptability. The industry thus offers a unique and diverse business proposition & growth opportunities based on the principle of Brand Leverage to develop and launch a plethora of relevant products/services. Mr. SAFIR ANAND (ANAND & ANAND), SR. PARTNER IP LAW-FIRM,"
Ms. SMITA MAROO (Sr. VP - Shemaroo) and many more.